FOTOgrafos, the largest bimonthly photography magazine in Greece, presented my work publishing a 14-page portfolio and interview of mine in the summer issue, July-August 2013. 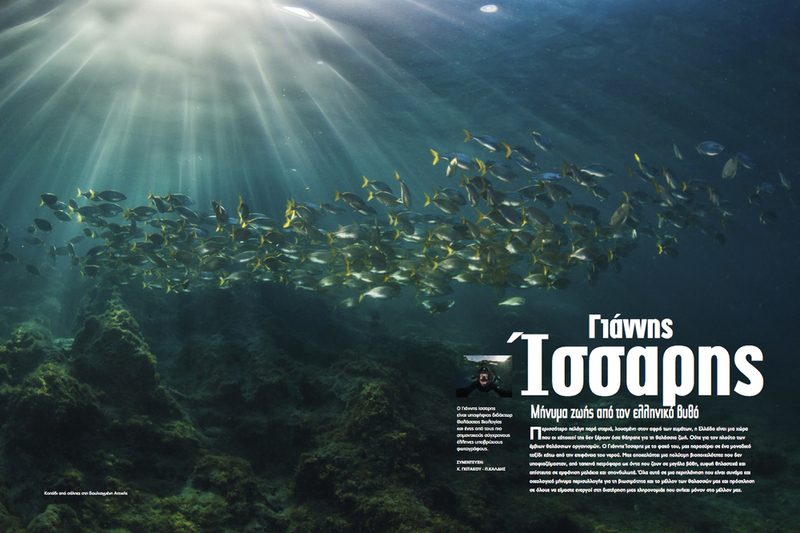 The cuttlefish photo from Saronikos Gulf is probably the first marine life photo published on the cover of the magazine! © 2012-2018, Yiannis Issaris. All rights reserved.